Everything you need to mine for gold at home! 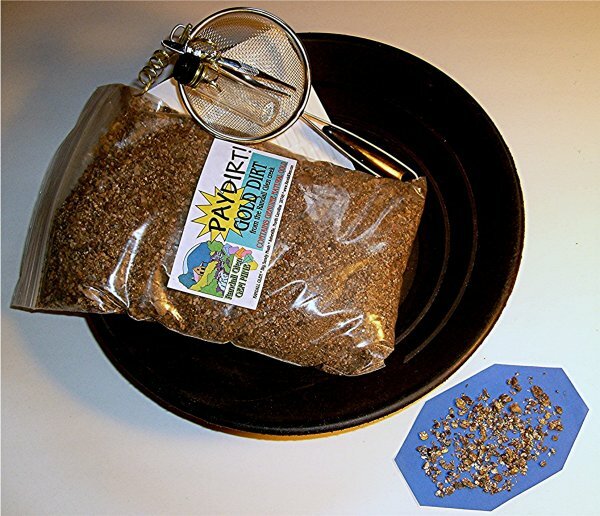 This kit includes over 1 pound of “Pay Dirt” gold bearing sand and gravel from our creek, a gold pan and a strainer, tweezers and vial to collect your gold, a tile and magnet to test “if it’s the real thing”, and full instructions. This is great for practicing your panning technique, and it makes a fantastic gift too. Call us at 828-683-5758 to order. ← We mine year round at Randall Glen!